If your succulents are shipping to or "travel" through areas that will fall below freezing temperatures during transit, please add a heating pack to your order. 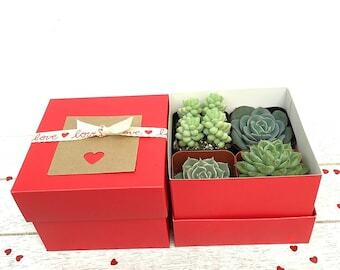 Most succulents are hardy only to 40-45 degrees and will not recover from being frozen. A heating pack will help to keep them warm during transit. Heat pack should be used for plant transport to areas with temperatures of 40 degrees or less. 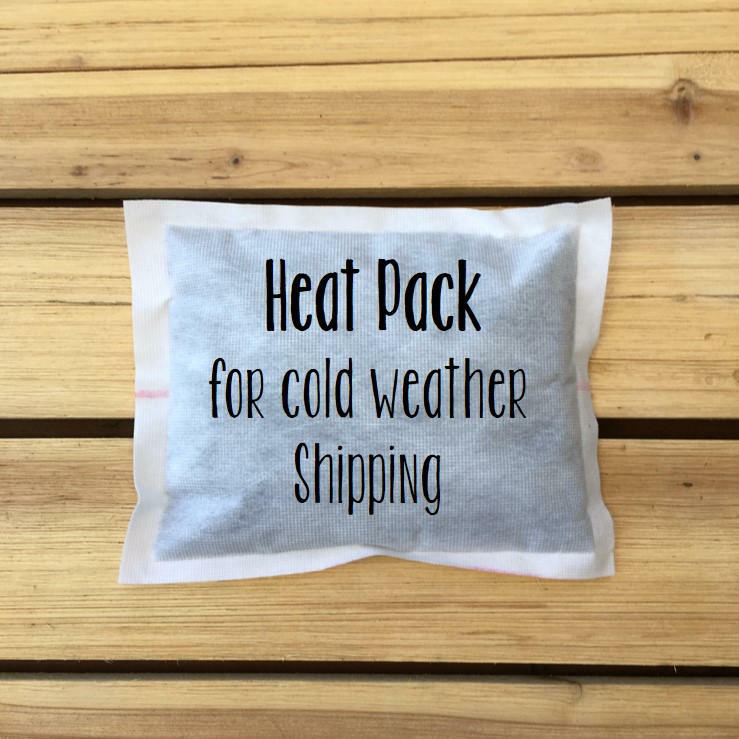 We activate the heat pack just before shipping your plants to make sure they arrive happy! These are great! So glad the seller offers these for purchase. All came perfect with the heat pack- even coming to Chicago in very cold and snow! If an item item is returned to us (i.e if item is not picked up by recipient after post office left a pick up notice, or if an item is 'refused' by the recipient) we do do not issue refunds.No refunds due to USPS shipping delays. The shipping cost is automatically calculated at checkout based on the zip code of the shipping destination provided, and includes postage, delivery confirmation, online tracking, packaging/handling and standard $100 USPS insurance. You will receive an email notification with a tracking number when your order has shipped, please track the order once a tracking number is provided. We use USPS for most orders. It usually takes approx 2-4 business days to arrive depending on your location, however these times are NOT guaranteed by USPS, If expedited shipping is needed, please contact us for details prior to placing your order.